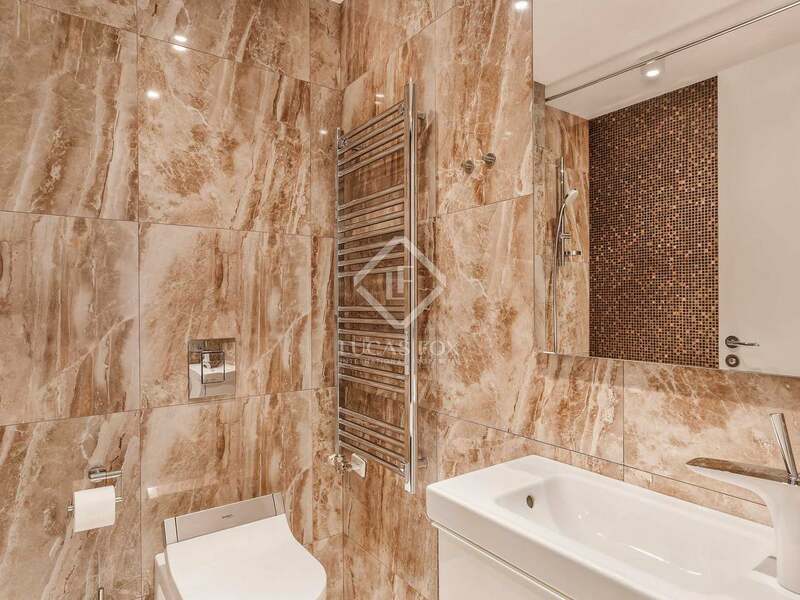 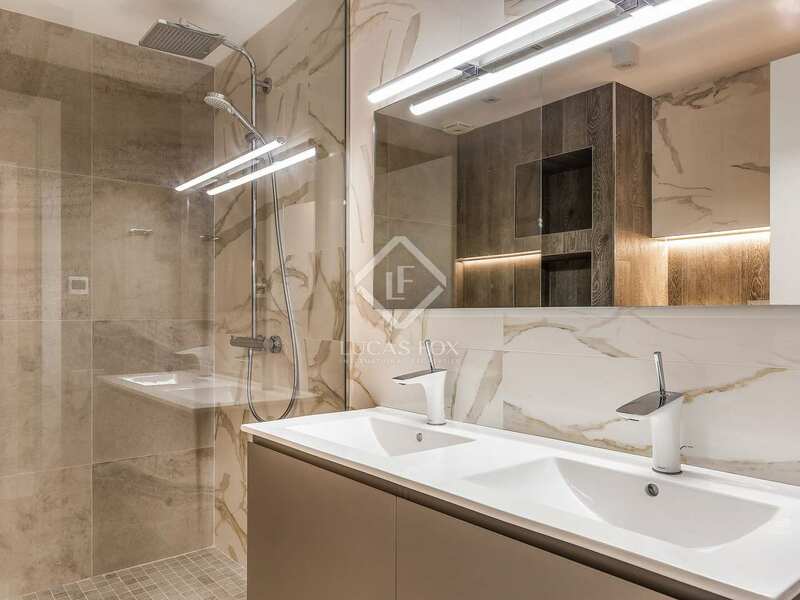 High-end apartment of 173 m² apartment with 11 m² terrace for sale in Sant Gervasi - Galvany. 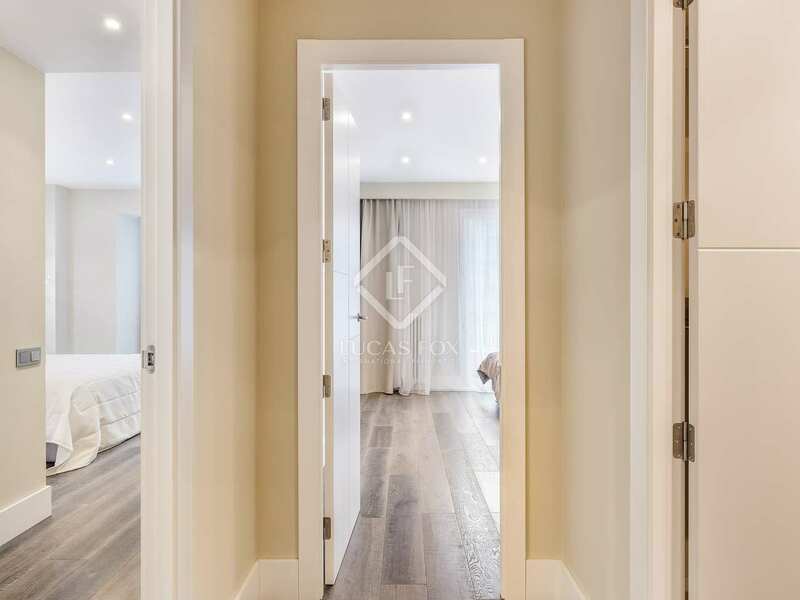 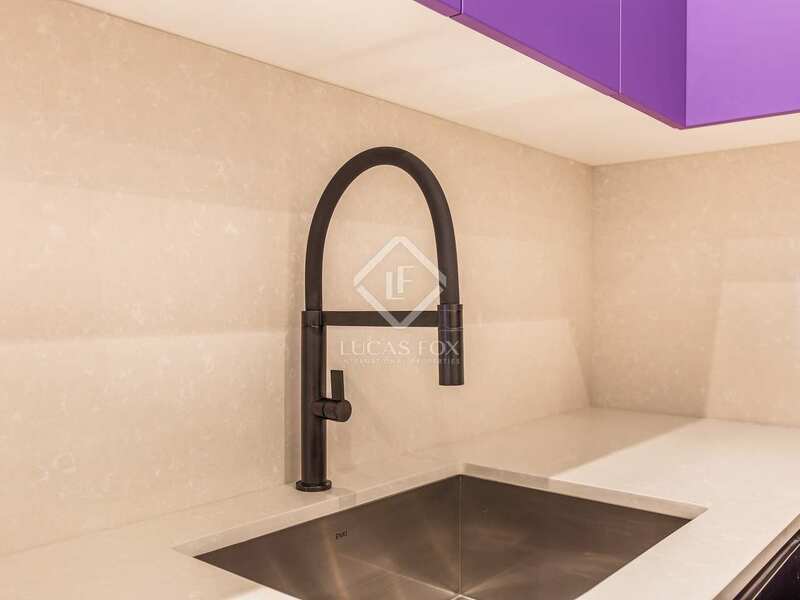 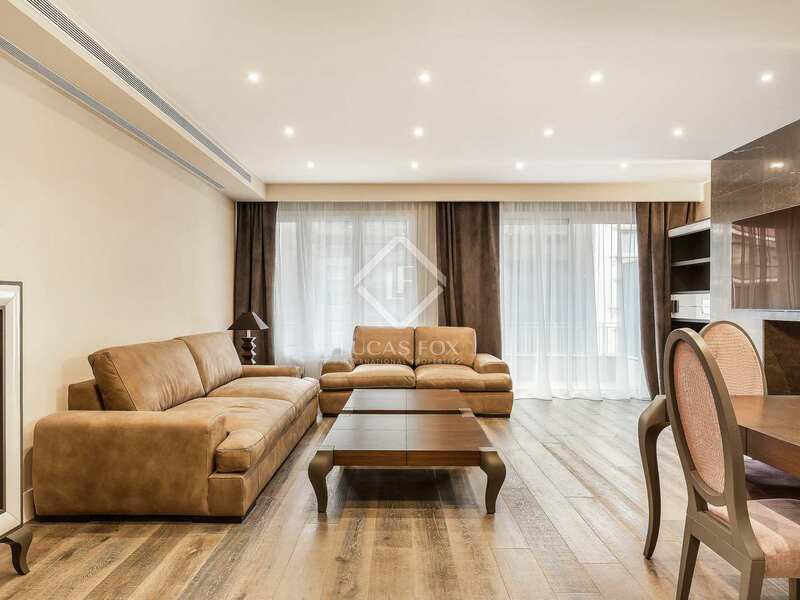 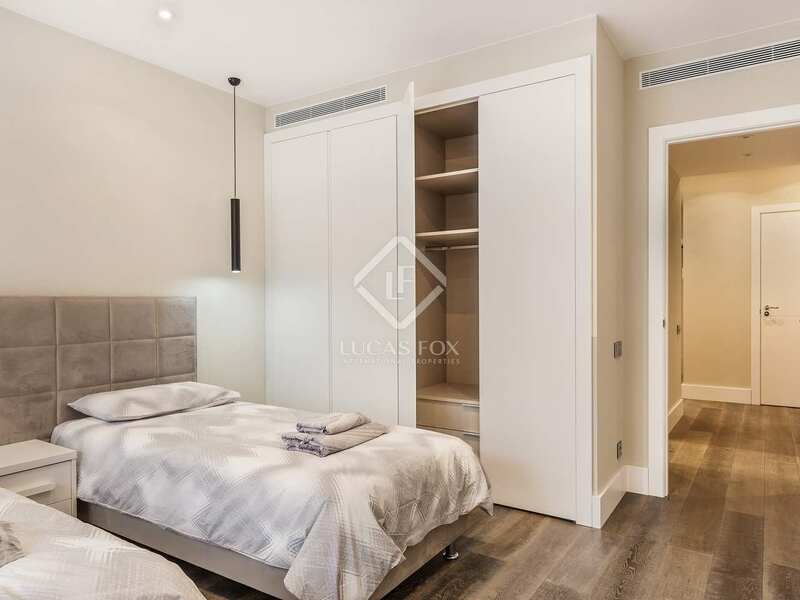 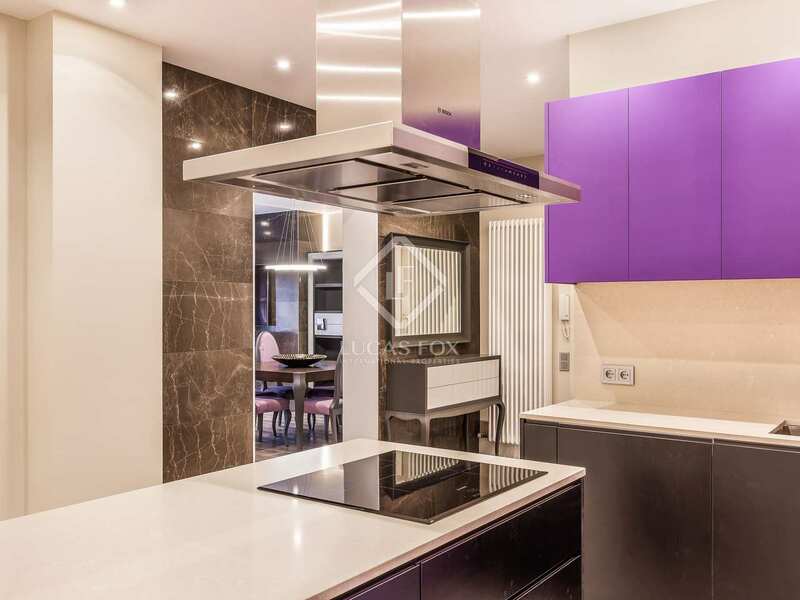 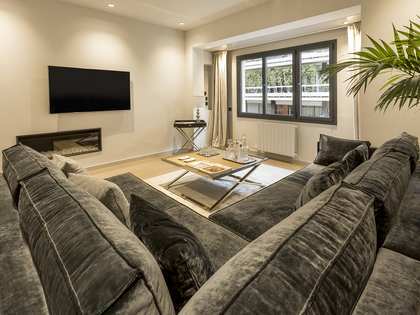 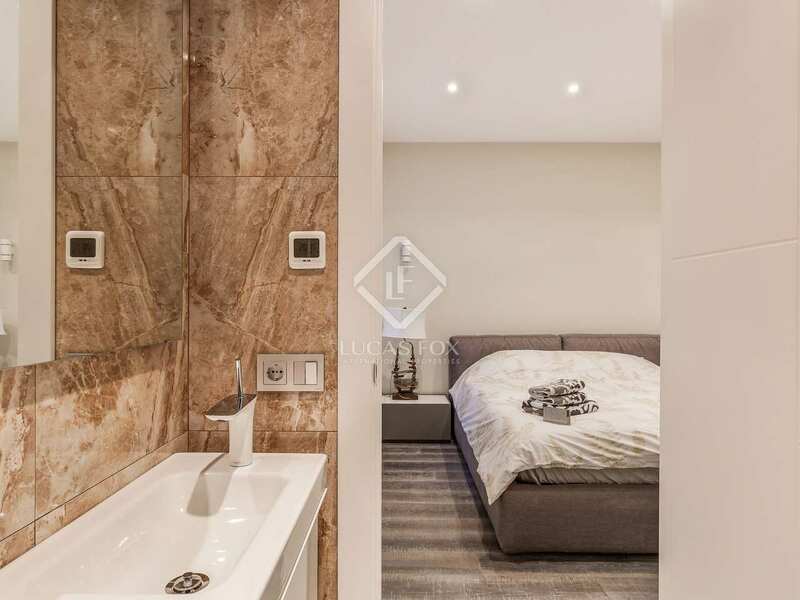 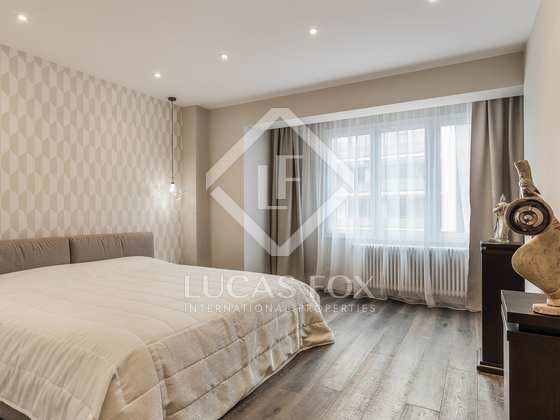 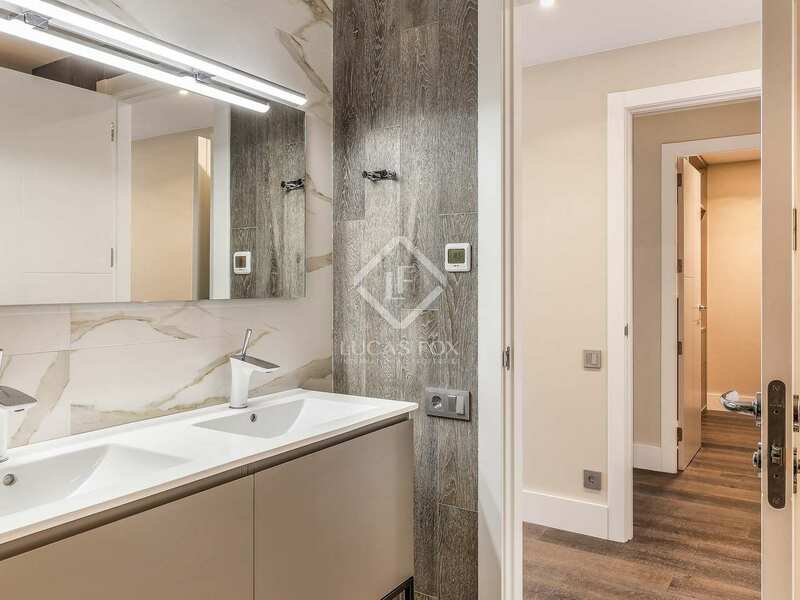 This chic 175 m² apartment is found on a high floor of a modern building in the Galvany neighbourhood of Barcelona City, very close to Avinguda Diagonal, Turo Park and the famous Passeig de Gracia. 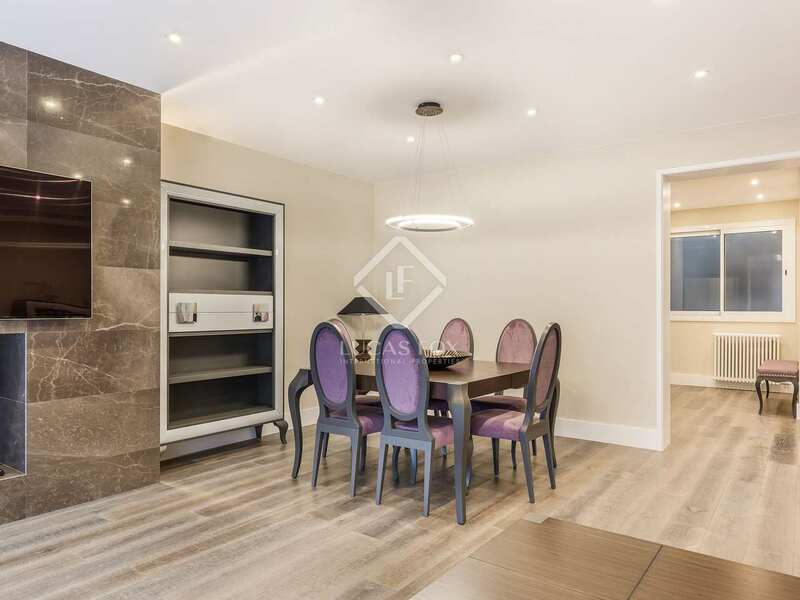 Presented in brand new and fully equipped with high quality appliances and luxury furniture, this home is ready to move in and enjoy. The spacious entrance takes us to a modern and fully equipped open kitchen with fridges, dishwasher, etc. 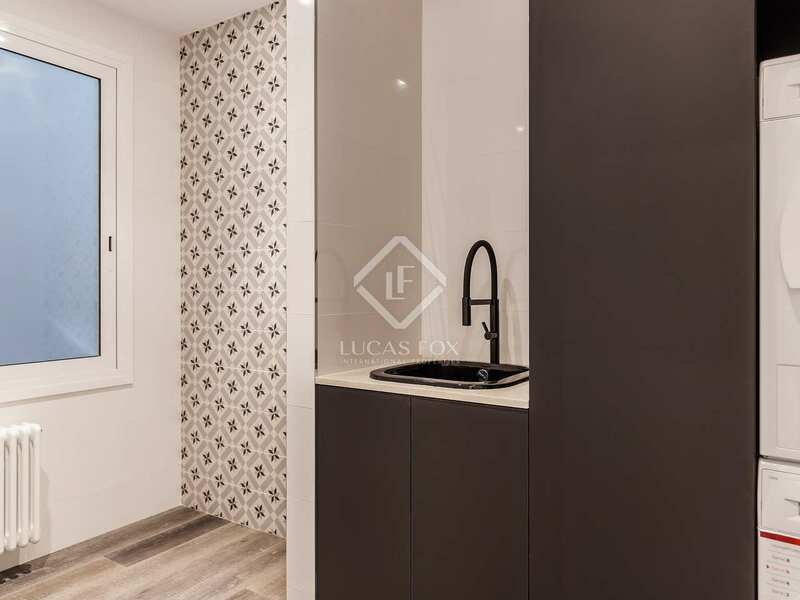 There is a separate utility room where we find a sink and the Bosch washing machine and dryer. 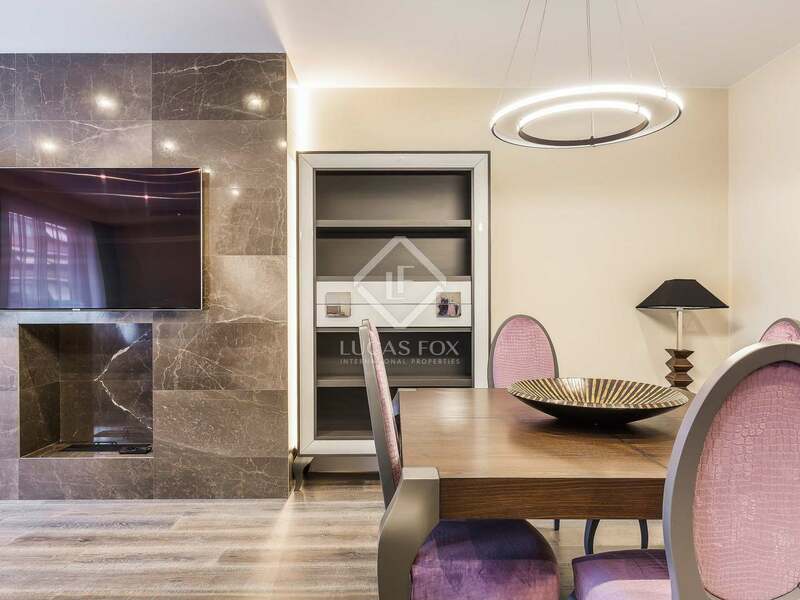 In the living room – dining room you can relax on the luxurious suede sofas, watching the 65 inch TV in front of the ethanol fireplace that is finished in fine marble. 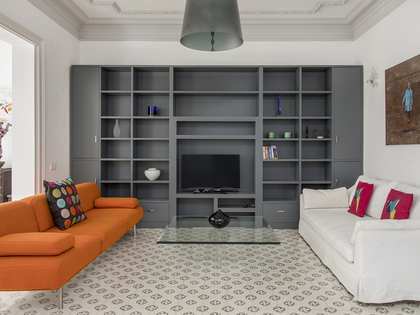 This room measures 37 m² and leads out to the 11 m² terrace. 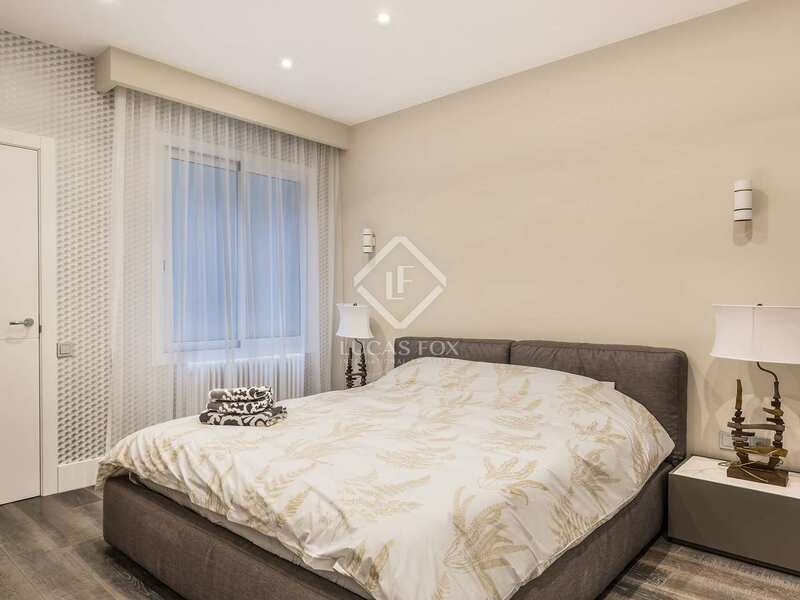 In the night area we find 3 bedrooms. 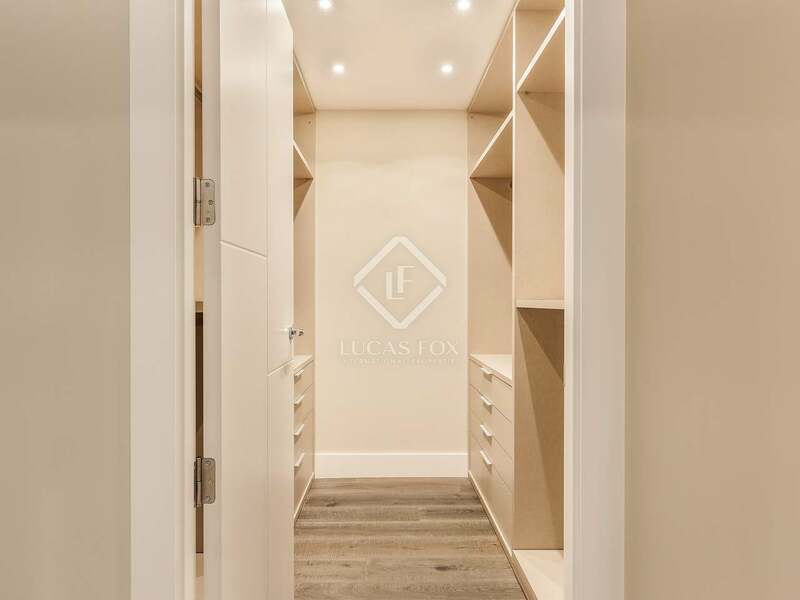 The master suite has its own dressing room and bathroom, while the other 2 double bedrooms share a dressing room and bathroom. 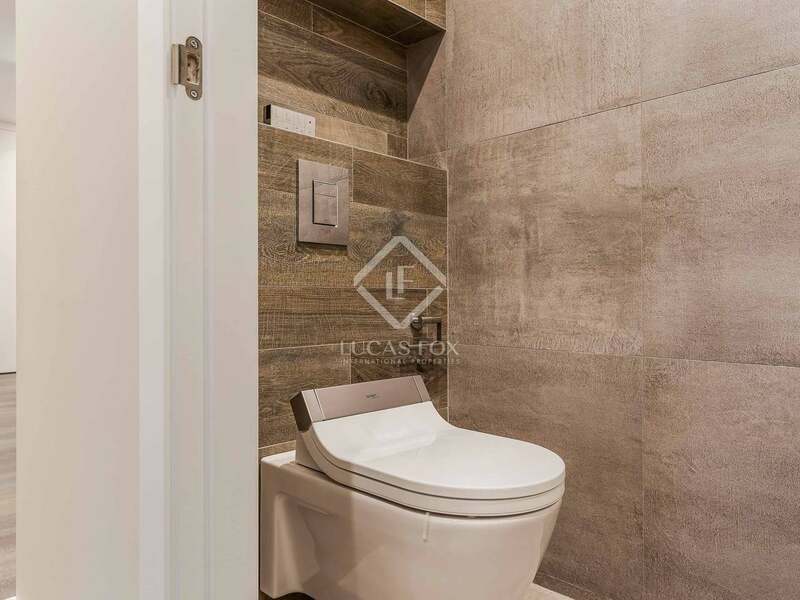 The bathrooms are modern and functional with details such as the smart electric toilets. 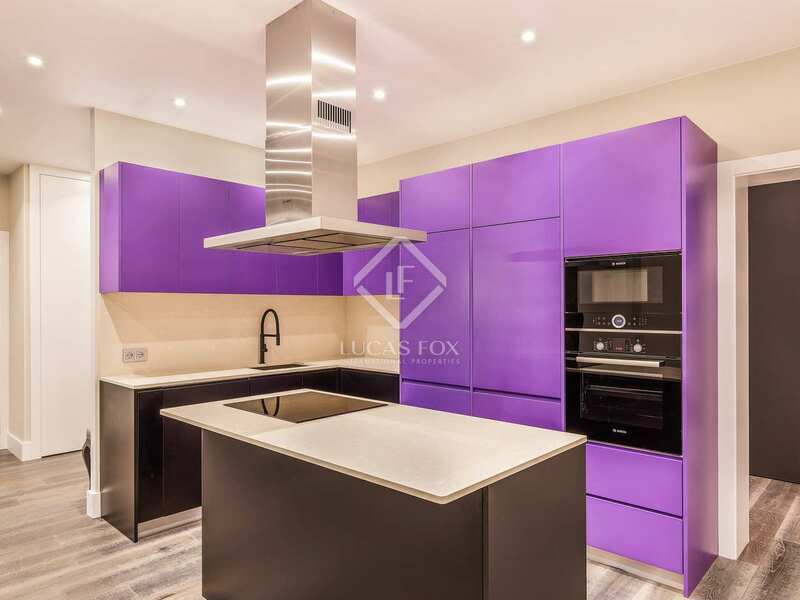 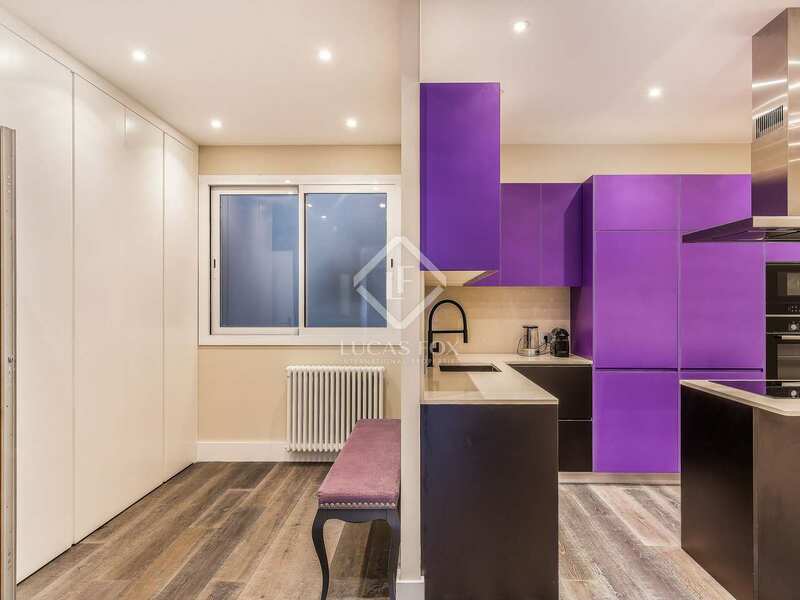 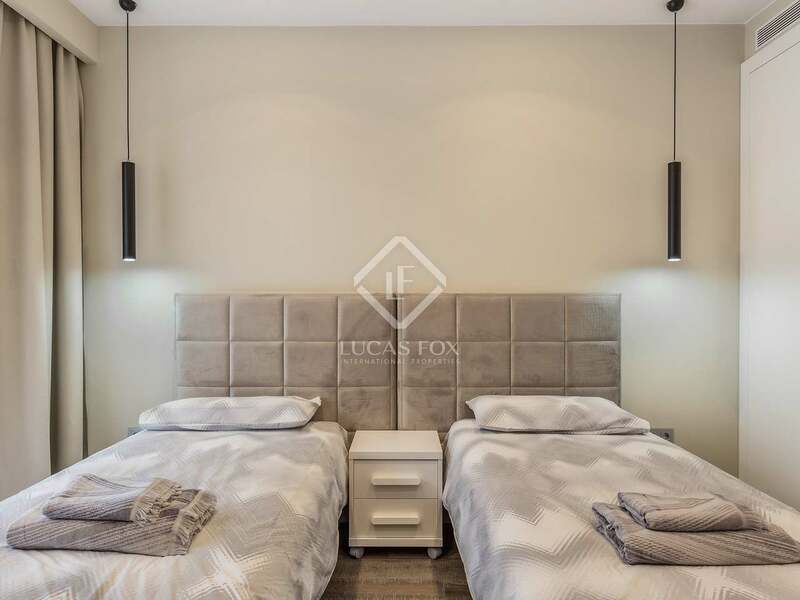 Finishes such as the Pura Vida taps by Gröhe, solid German oak floors with 3 cm slats and the split area air conditioning are what set this property apart from other apartments available in the area. 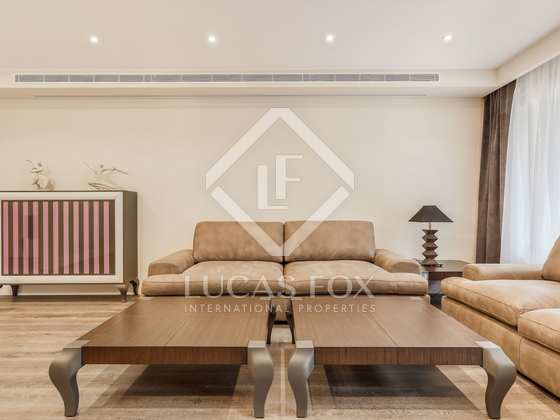 A sophisticated 3-bedroom home in Zona Alta, in perfect move-in condition. 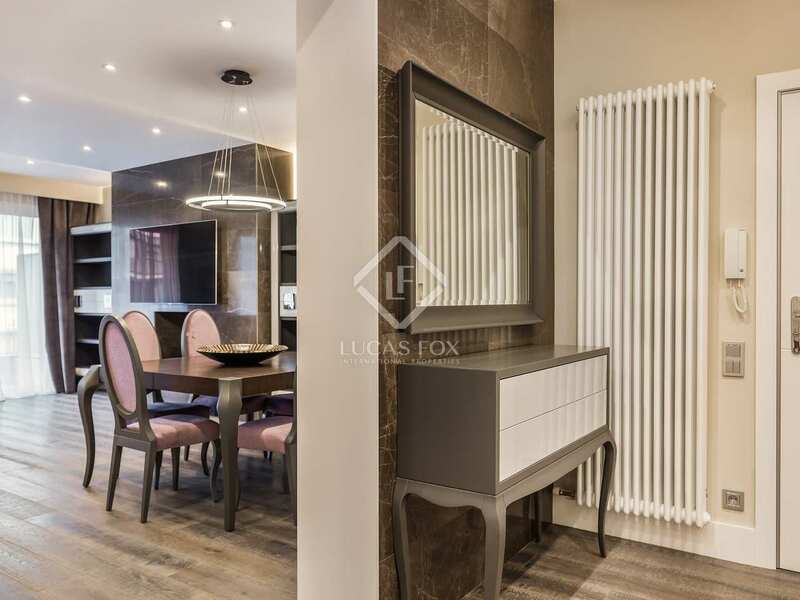 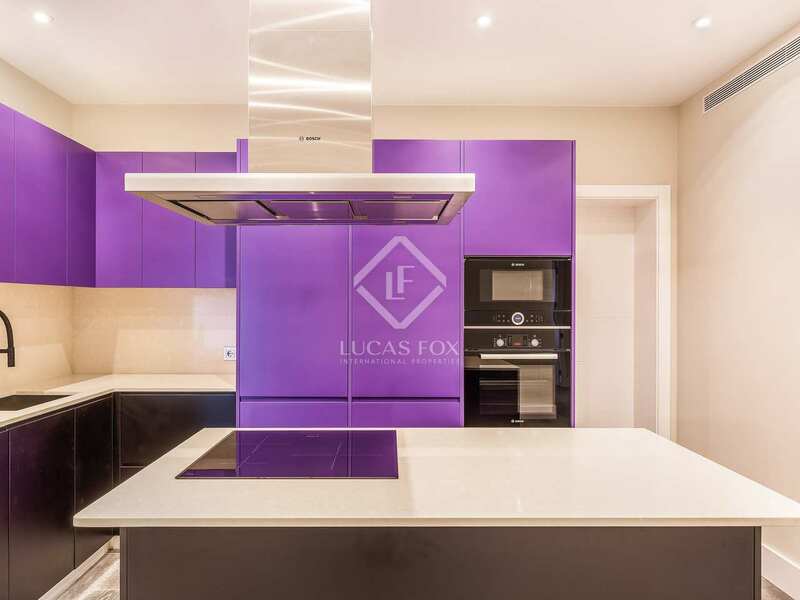 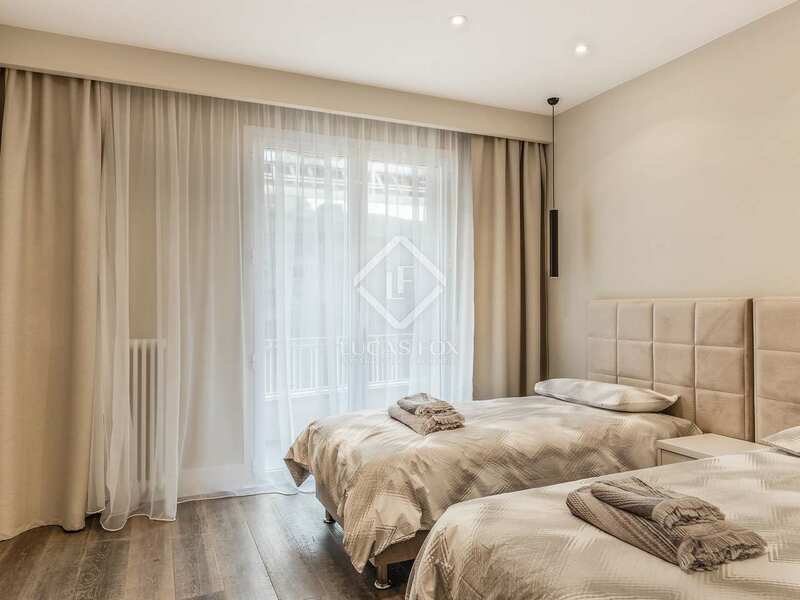 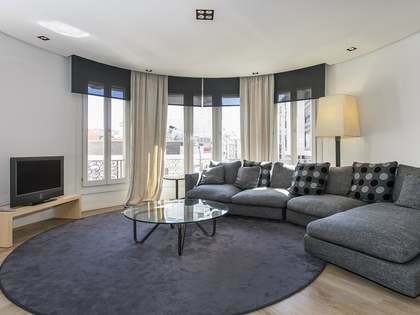 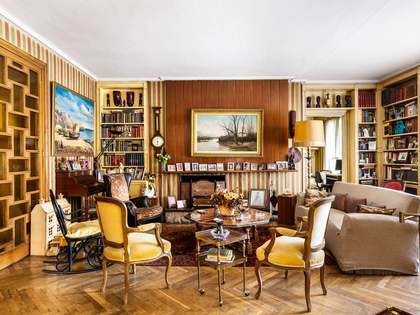 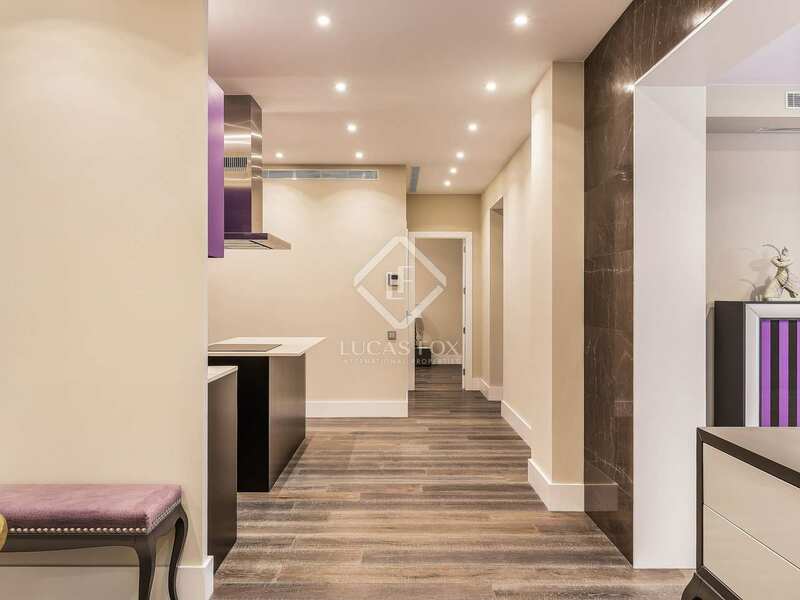 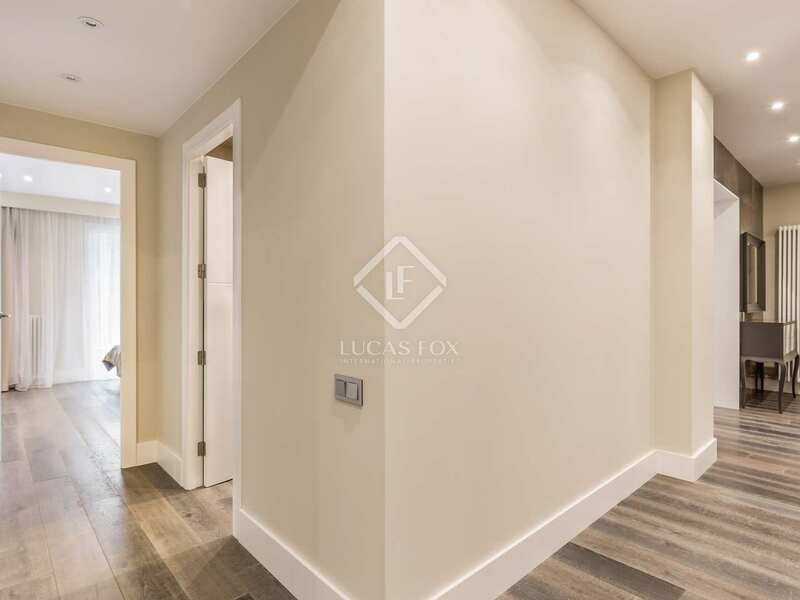 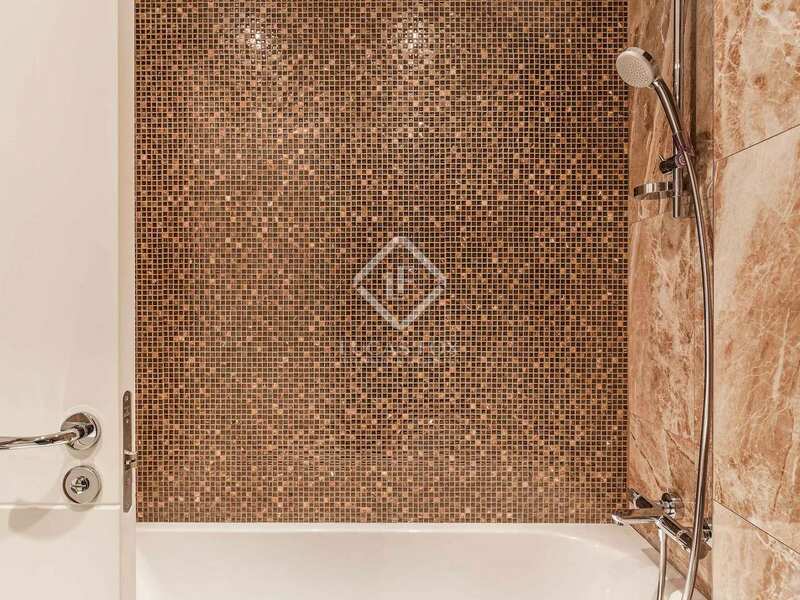 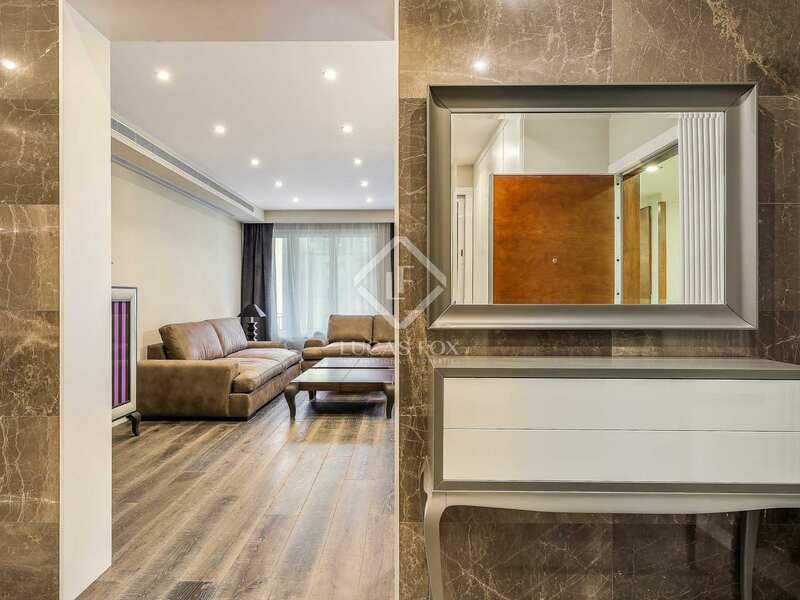 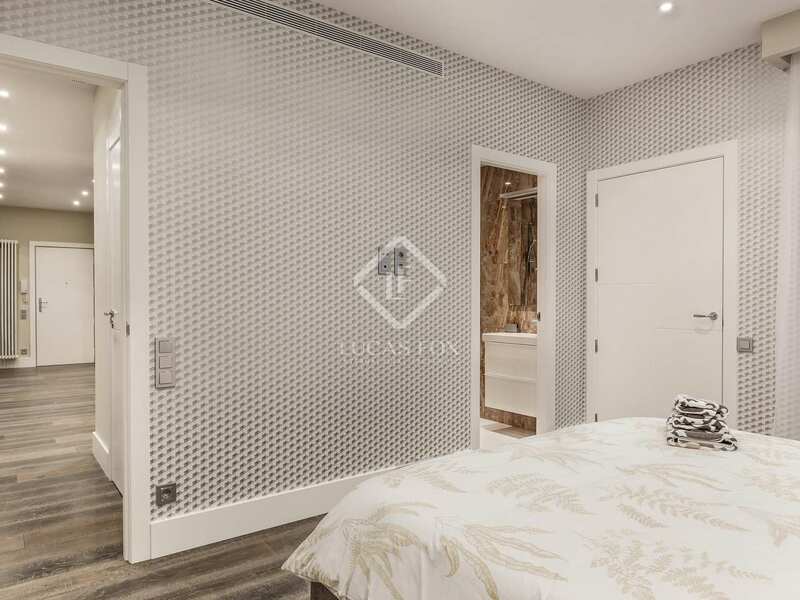 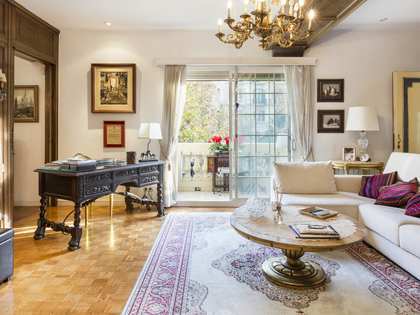 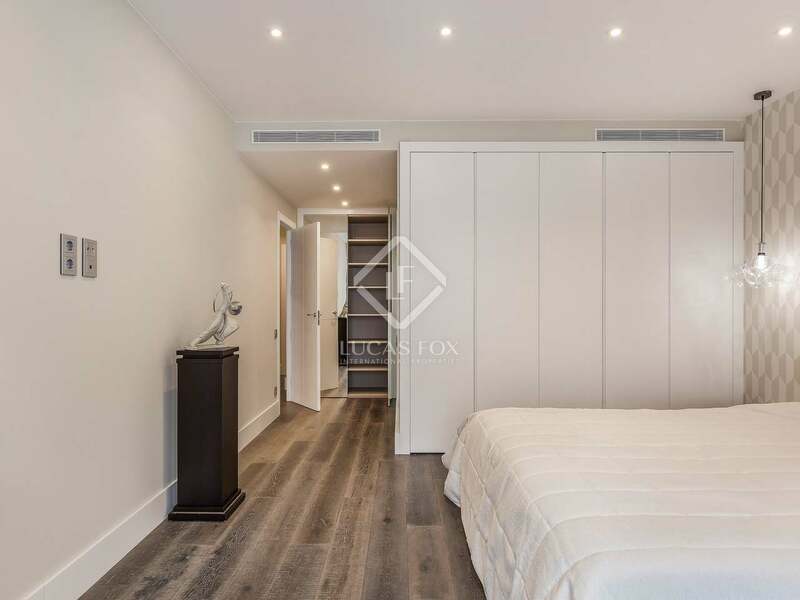 This property is located close to Avinguda Diagonal, between Passeig de Gracia and Turo Park.